Ho'okipa Beach, considered as the "windsurfing capital of the world," is located at the 8.4-square miles Ho'okipa State Beach Park on Maui's North Shore off the Hana Highway. It is known for its large, well-shaped waves and consistently strong winds which make it ideal for both surfing and windsurfing. The name Ho'okipa means "to make welcome" in Hawaiian. While not ideal for swimming or snorkeling, the beach provides experienced surfers with excellent wave action almost all year round. The largest ones usually come during winter season, often reaching heights of up to fifteen feet. The strong surf may not be suitable to beginners though. 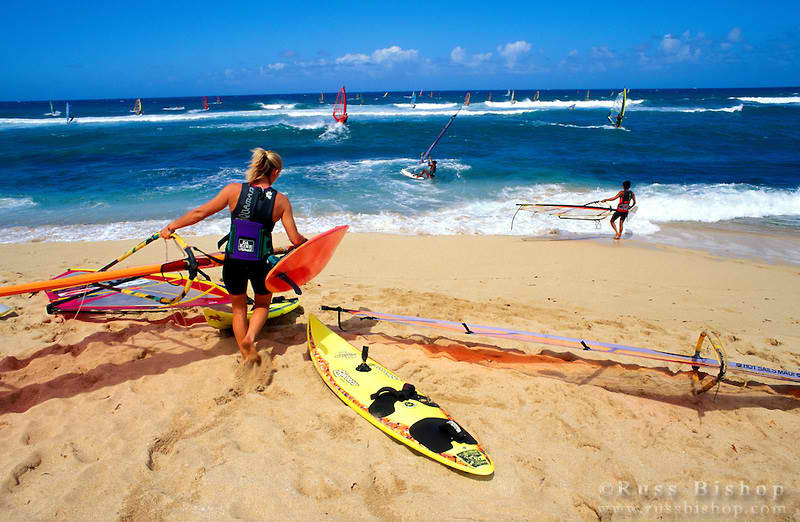 In the 1980s, the international windsurfing community had discovered that the wind and waves at Ho'okipa Beach Park make it ideal for the sport. Today, the beach hosts windsurfers from every corner of the globe and provides the venue for a number of major ocean sports competitions including the Aloha Classic and Red Bull King of the Air international kitesurfing. Swimming is limited within a pond-like area created by a coral reef on the north side but only during periods of calm water conditions. Visitors are advised to monitor ocean conditions before venturing into the water and take heed of all postings and warnings. Facilities at the park include three picnic pavilions with barbeque grills and tables, restrooms, outdoor showers, water fountains and paved parking. Lifeguards are on duty from 8:00 am to 4:30 pm only. There are also observation decks offering excellent views of the park and the surf offshore. 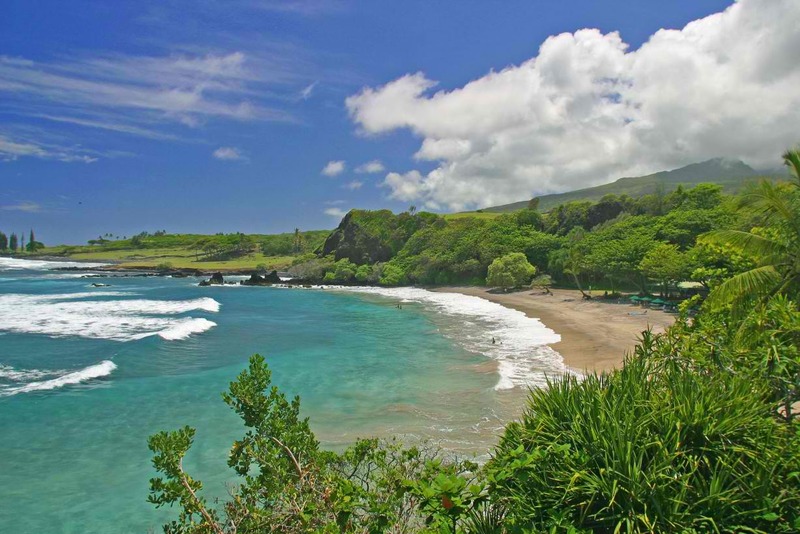 Ho'okipa Beach can be reached at Mile #9 on Hâna Highway (36).